An expert advisor which tries to take quick trades based on a combination of the latest Stochastic oversold/overbought status and Kagi chart transitions. It closes at minimum amount of profit depending on your risk appetite. 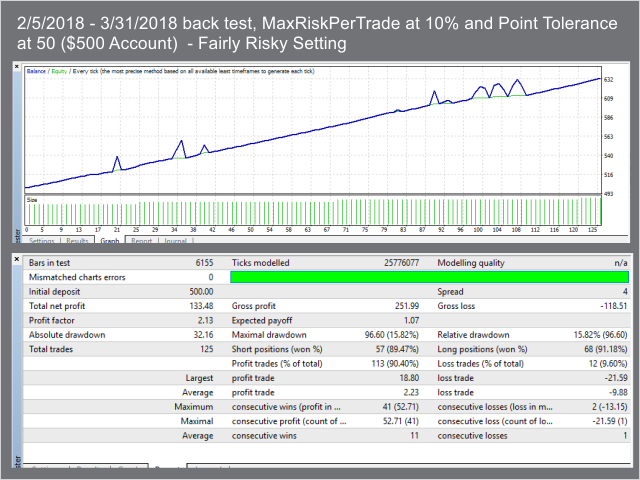 Trade position size is also gradually increased automatically depending on risk parameters. 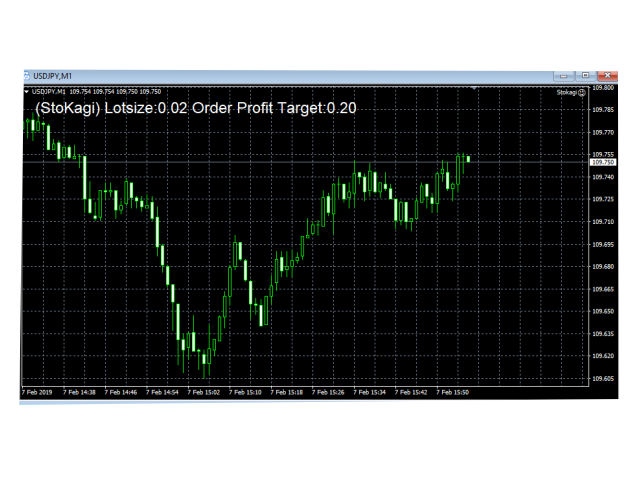 Although you can use this on any time frame and symbol, The expert is designed specifically to trigger trades based on the 1 minute time frame and it is optimized for the EURUSD symbol. Please use a low ping VPS and a broker with small spreads (2-4) if possible. WARNING: This scalper does not use a stop loss. 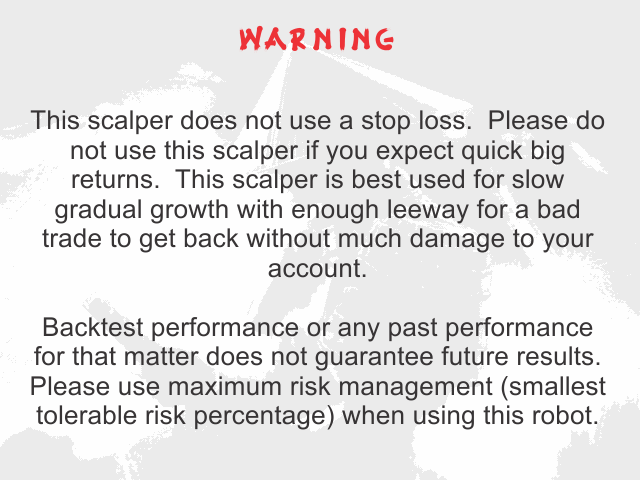 Please do not use this scalper if you expect quick big returns. 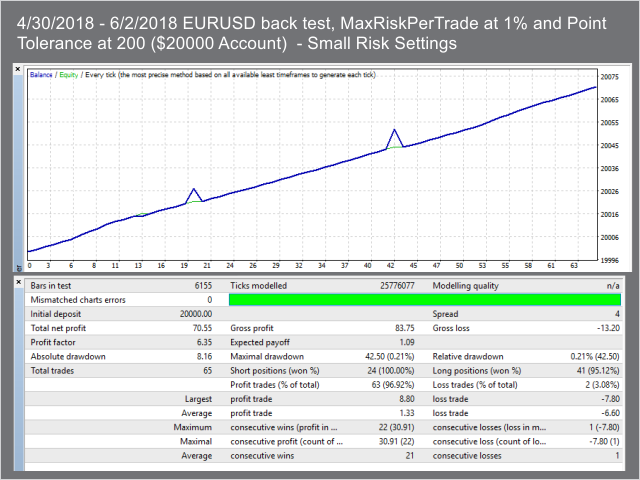 This scalper is best used for slow gradual growth with enough lee-way for a bad trade to get back without much damage to your account. Back-testing performance or any past performance does not guarantee future results. Please use maximum risk management (smallest tolerable risk percentage) when using this robot. Please back-test thoroughly using high quality tick data and test it on a demo account first before going live.